The first thing that strikes you about Hong Kong in late May is the humidity. As I stepped out of the air-conditioned hotel bus, my glasses instantly steamed up. It was like walking into a sauna. The air was tangible: thick and moist. 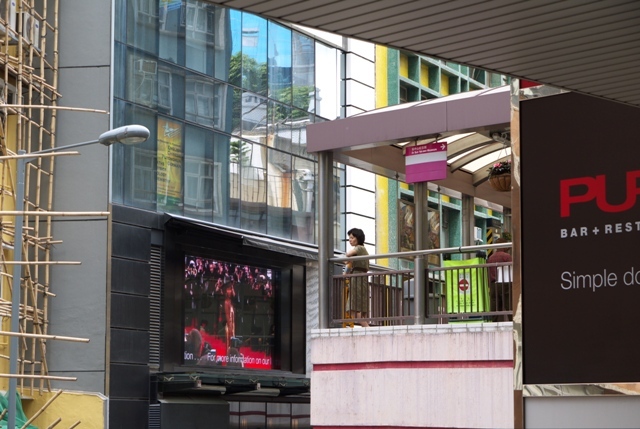 In this climate you soon appreciate the elevated walkways in central Hong Kong – so much cooler than the streets filled with cars and buses. 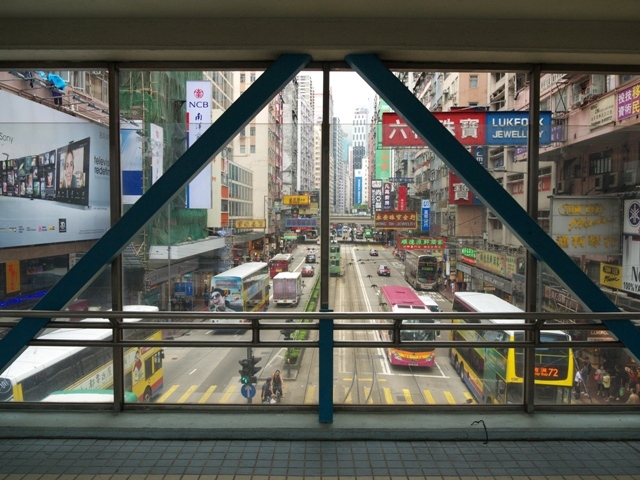 The pedestrian escalator, which takes you up the steep, lower slopes of Victoria Peak, is a high-tech extension of these. 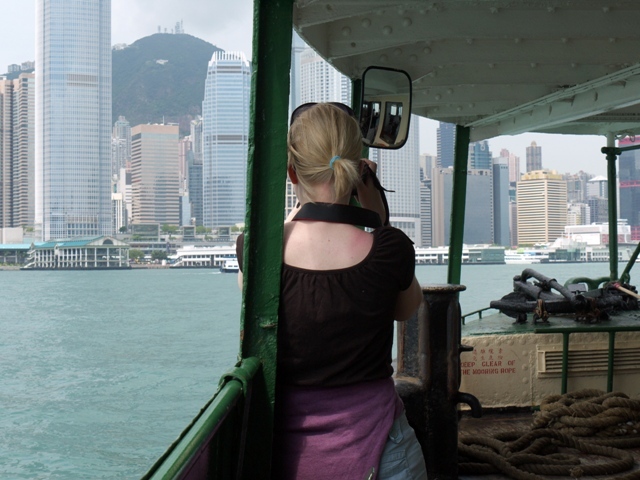 All you have to do is stand still while you are conveyed through Hong Kong’s sticky air above the city’s busy streets. At some 800 metres, it is apparently the longest of its kind in the world. Futurists like HG Wells and Jules Verne imagined that skywalks and travelators would one day be ubiquitous in cities. They were wrong, but the climate, geography and wealth of Hong Kong has made them a reality here. 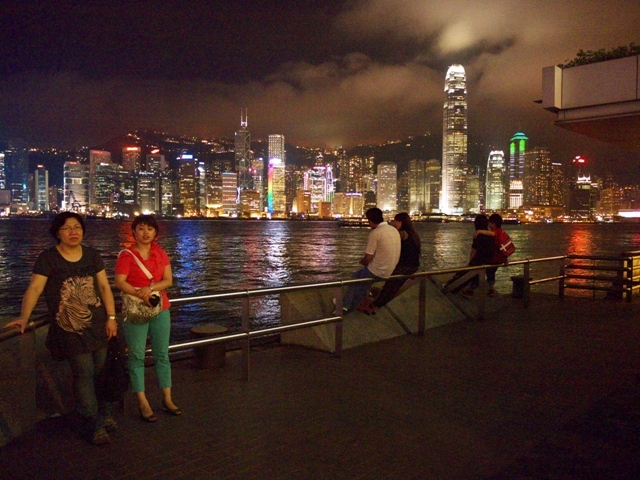 Even in this age of megacities, Hong Kong’s skyline at night is awe-inspiring. There is beauty in its audacity and ambition. The glittering cathedrals of commerce, their lights undimmed by the global recession, tower above the harbour. Unfortunately, the gaudy green lasers that blaze out from the highest pinnacles threatened to reduce the whole cityscape to the backdrop of some 1980s pop video. All it lacked was dry ice. Hong Kong has not tired of reaching for the skies. 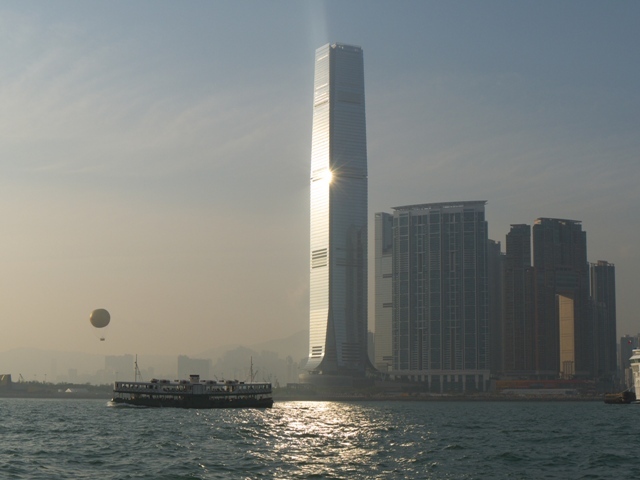 Opened this year, the International Commerce Centre has become Hong Kong’s tallest building, soaring 484 metres (1,588 feet) above Kowloon. The Ritz-Carlton Hotel on floors 102 to 108 is now said to be the world’s highest hotel. Like every tourist, I made the pilgrimage up the Peak. Despite the cloudy weather, the view was indeed memorable. 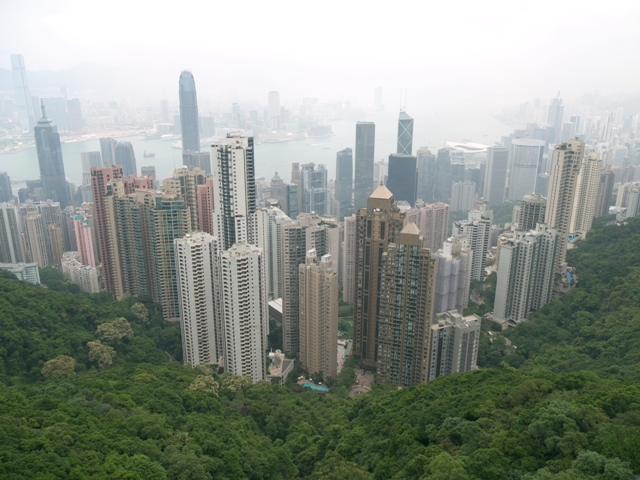 Looking down from the 550-metre Peak, you can see how Hong Kong’s skyscrapers are hemmed in by the sea on one side and by dense forest on the other, a concentrated ribbon of construction. They had no choice but to colonise that extra dimension of space above them. And beyond Hong Kong, lost somewhere in the mist and the smog, was the mainland – the vastness of China. Equally memorable was the hair-raising journey up to the Peak, along a precipitous, winding road on top of a swaying double-decker bus. 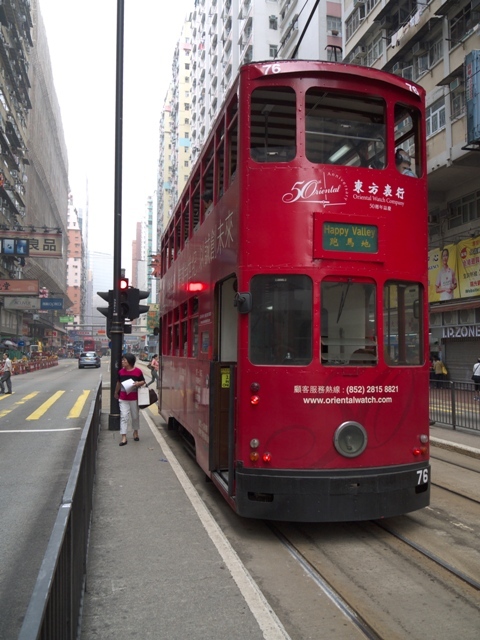 Hong Kong is also served – rather more sedately – by a wonderful system of old double-decker trams, which started running in 1904. I have read that they are the last operational double-deckers in the world. 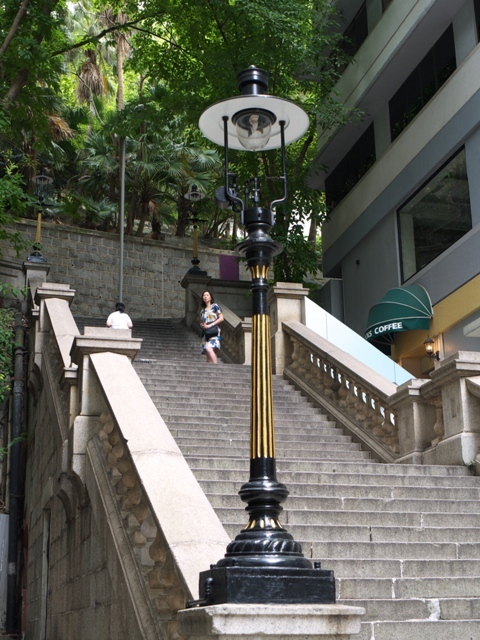 Another remnant from the past are the island’s last gas lamps (two-light Rochester models) which still illuminate the Duddell Street Steps, a reminder of an age before electricity, before today’s wired, global cities. 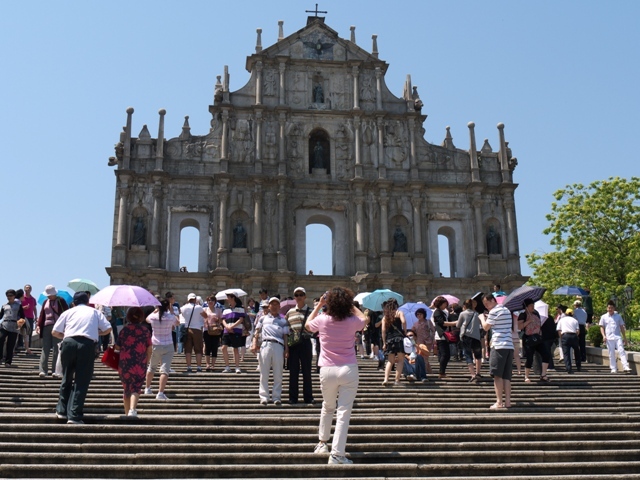 But this is a city that doesn’t have much time for history – unlike nearby Macau, whose sixteenth-century centre has been turned into a quaint but over-crowded tourist Mecca. 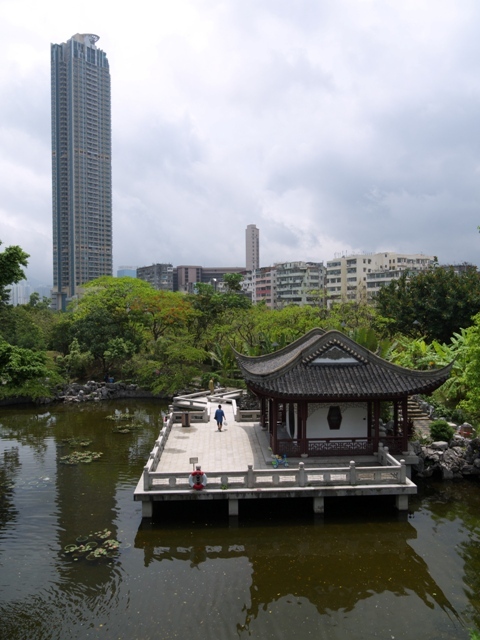 One morning, I took the Number 1 bus north up Kowloon’s Nathan Street to the Kowloon Walled City Park. This was once one of the densest urban slums on the planet, home to more than 30,000 people. The original walled city had been a Chinese garrison town. 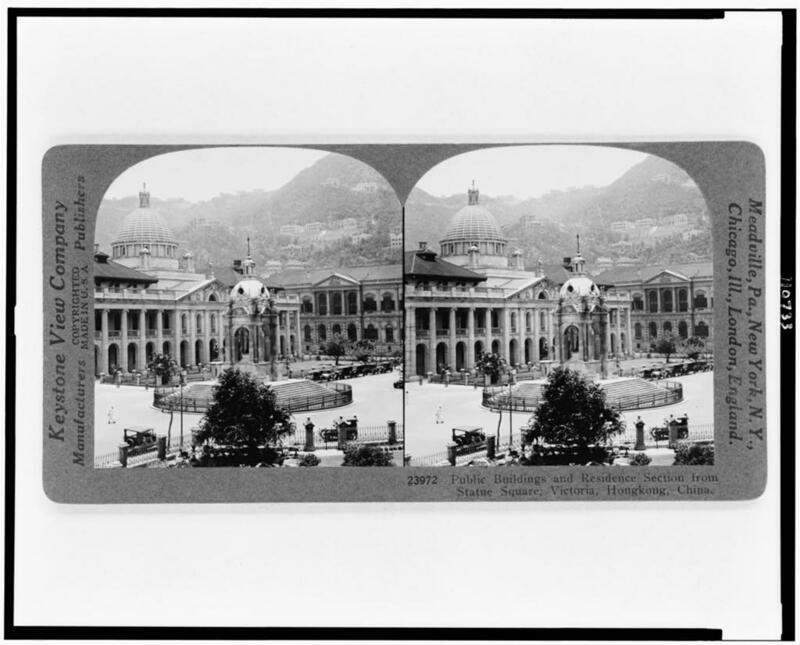 It remained Chinese even under the 1898 convention by which the British gained control of Hong Kong and Kowloon. It was an anomaly, a walled community outside the jurisdiction of the colonial rulers. After World War II, refugees from mainland China created a shanty town here, beyond the reach of policemen or officials. 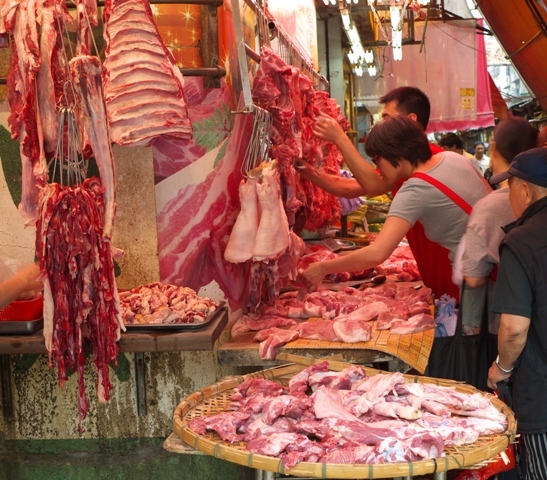 It became a self-regulating city within a city. There was no electricity or mains water supplies, so the resourceful inhabitants hijacked nearby power cables and dug wells. They built rickety towers up into the sky; every inch of space was precious. In a city where there were no laws and no taxes, crime and business flourished. 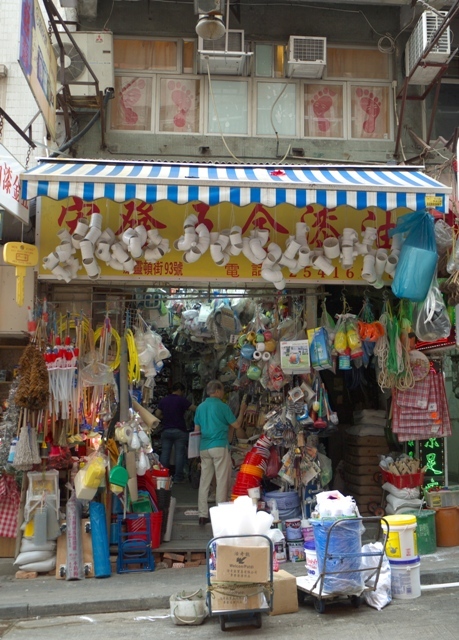 It’s said that about 80% of Hong Kong’s fish balls were manufactured in Kowloon Walled City. 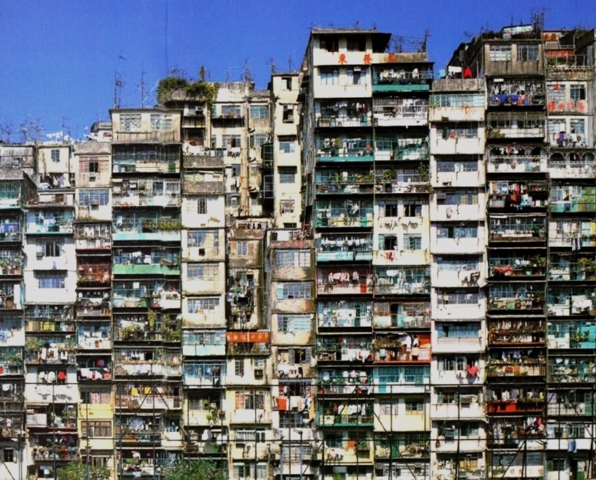 Kowloon Walled City was eventually bulldozed in 1993. Today, it has been turned into a traditional Chinese garden, a haven of trickling streams and carefully tended plants. Ornate pavilions have been built where once ramshackle tenement blocks stood (and sometimes fell). Narrow alleys lit by fluorescent tubes have been replaced by serpentine walks between clipped hedges. 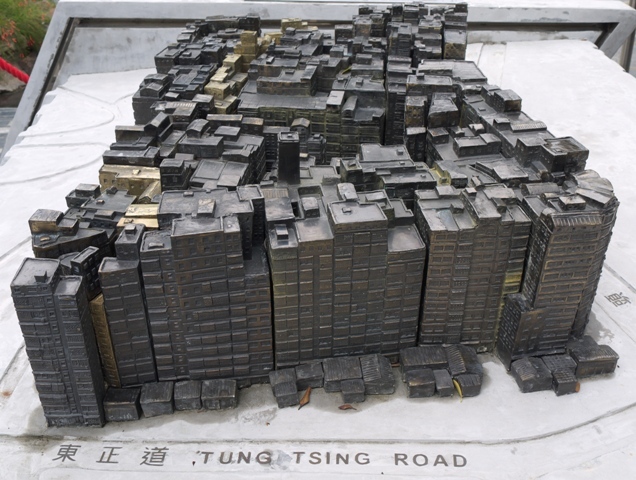 Now all that remains of Kowloon Walled City is a scale model. 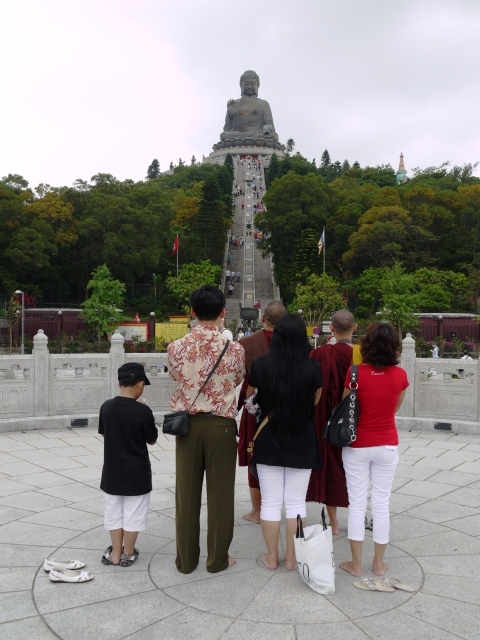 an elderly woman pushing a poodle in a pram at Hung Hom; temples hazy with incense; the clanking of the trams on their metal tracks in Causeway Bay; bare-foot pilgrims chanting in front of the Big Buddha on Lantau Island. One thing is certain: I won’t forget Hong Kong. It was lovely reading this post with the pictures, thank you. Great post! 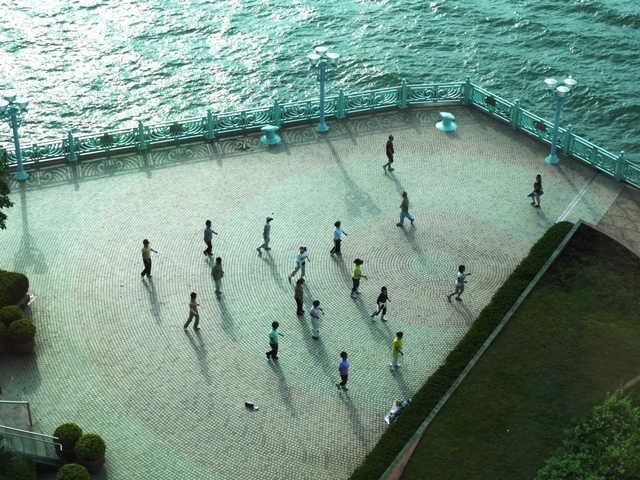 It is making me very excited about my HK university exchange in a couple of months! Thanks for visiting and I hope you enjoy the trip! Have you been to Aberdeen? It's such a great place for visitors!You can enjoy delicious seafoods there! which had not recovered from World War II. 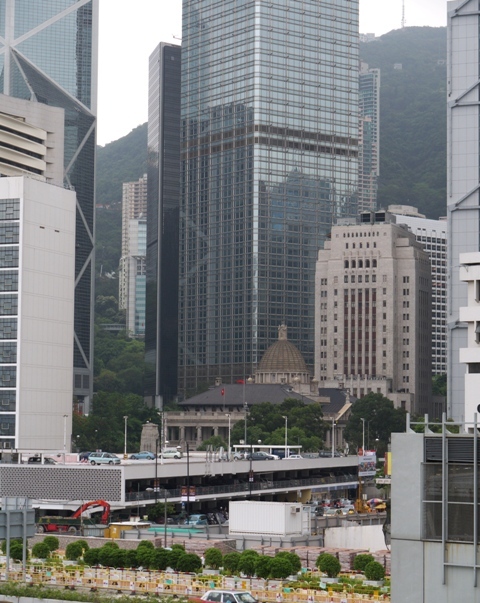 The highest Building in Hong Kong was the Bank of China which was a few feet higher than the HSBC Building adjacent. Viewed from Kowloon (by the KCR Station) Victoria was still an impressive site especially at night. The New Territories were rural with Paddy Fields and Mountains - Villages such as Sheung Shui,and Lo Wu were populated by local Hakka(?) peasants. A single track Steam (later Diesel) Railway terminated at Lo Wu where the crews changed over to Mainline Chinese who took the train on to Canton. I left in 1956 by Troopship which had to return via the Cape due to the Suez Canal being closed - The journey took 6 weeks from Hong Kong to Liverpool. Two weeks longer than through the Canal.